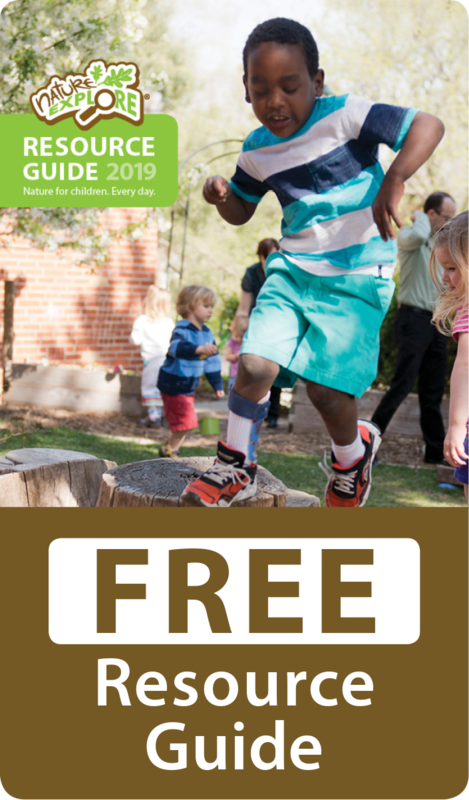 With a Nature Explore concept plan in hand and the ten guiding principles to direct the way, the outdoor classroom at Alexander Central School District has developed into a wonderful space to connect children and adults to nature every day. The landscape consists of a beautiful, park-like setting, mature trees, open field and a small creek surrounded by a woodlot. 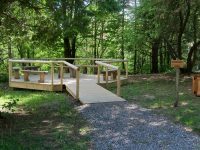 This outdoor classroom allows students to explore nature, be physically active all while engaging in hands-on learning using natural elements. Once the concept plan was developed, a brochure was created and distributed to parents, business owners and volunteer organization. Prior to beginning the actual work in the classroom, a Fun Run was hosted at the site and the plan shared with the community. In addition, multiple workday events were held, inviting students, parents and community members to help develop the classroom. Several stories appeared on various news outlets, both television and newspaper. These helped to familiarize the community at large about classroom efforts. 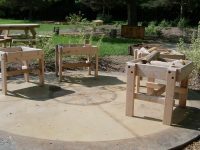 The assistance of outside organizations, such as Job Corps, student groups, and Master Gardeners also helped to develop the classroom. Well defined areas have been developed by using spacing, low mounds, landscaping and clear entries. Landscape cloth and deep mulch will reduce weeding and keep maintenance low while keeping activities simple for volunteers and children. 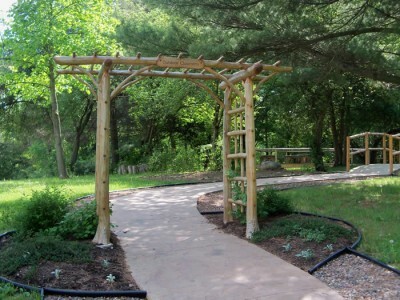 Mature trees were left undisturbed for shade and educational purposes while staff carefully selected plantings that were native to the area; stimulating, educational and attractive to birds and other wildlife. 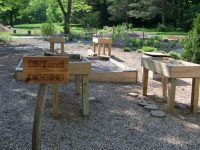 The Seneca Park Zoo was enlisted to help create a butterfly garden. Once the first phase of the classroom was complete, a ribbon-cutting ceremony was held that included the school and community, local community leaders and the media. Children provided educational tours of the classroom to teach others about the resources that have been created. A Chicken BBQ fundraising event was held in May, complete with station displays and live music. A special committee was developed, dedicated to planning events. The classroom was built by the school and community. There are countless ways that this participation personalized the classroom. The stations were built by volunteers, incorporating their unique ideas and designs. A compass, etched into the Building Area patio and leaves, designed into the Nature Art Area patio, are beautiful examples of their artistic expression. Stepping stones were created by students and placed throughout the space. 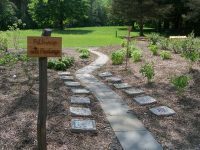 Plants were donated and selected by volunteers, and in some cases, donated in memory of a specific class or a loved one. Workshops for area teachers were held which outlined the many reasons why teaching in nature is valuable while lessons were demonstrated that incorporate nature ideas and align with the Common Core Standards. A curriculum committee is now planning training for other teachers in the district. 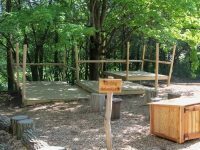 With so many benefits and so much information to share, the Alexander Outdoor Classroom maintains their own website and Facebook page.